Mission Statement The Verde Valley Caregivers Coalition provides volunteers, programs and services to support older adults and adults with disabilities in need of assistance to maintain their independence and quality of life at home. Services and Projects One-Call Center for aging services, transportation to medical appointments and grocery shopping, shopping assistance, handy person help, business help, phoning & visiting, respite assistance, Guardian Angel medical alert units installed & maintained - All services free of charge. VVCC also operates its Silver Linings Thrift Shop located at 345 Jordan Road in Uptown Sedona. Proceeds benefit programs and services to support our older adult clients. Volunteering is easy. You decide when & how often. Choose the services you want to provide. Did you know we add 20 or more older adults living at home EACH WEEK to the 2,400 we’re already helping? That’s why we need you! Please consider volunteering to drive neighbors to medical appointments, grocery shopping and other important errands. To learn more please attend one of our informational sessions: Sedona on Oct. 10, 10:30 to 12 noon, or Oct. 17, 1 to 2:30 p.m. at VVCC Offices, 299 Van Deren, Suite 2, Uptown Sedona. And at Cottonwood Public Library on Oct. 18, 1:30 to 3 p.m., 100 S. 6th Street, Cottonwood, AZ 86326. Please RSVP at (928) 204-1238. If you already volunteer, please share why you help older adults in need and help us spread the word. Volunteers are needed to do yard work and clean up for VVCC clients and for Silver Linings Thrift Shop in Uptown Sedona. Tasks include pulling weeds, raking, plant and bush trimming, and sweeping. Must use own tools, which is greatly appreciated. For more information please call Linda Clark at (928) 204-1238 or email lindaclark@vvcaregivers.org. Make a difference in your life and the lives of others. Volunteer to help older adults who need transportation to medical appointments, the grocery store and other important errands. There's no set schedule. You decide when and how often you'd like to volunteer. Even one or two hours a week can make a big difference. Volunteers are also needed to make friendly visits, provide respite assistance, handy person help, install Guardian Angel emergency alert units. To learn more you are invited to attend an information session on June 21 or July 11, 11 a.m. to 12 noon at VVCC Offices, 299 Van Deren, Suite 2, in Uptown Sedona. Refreshments will be served. Information sessions will also be held June 26, 1:30-2:30 p.m. at Cottonwood Public Library and June 27, 2 to 3:30 p.m. at Camp Verde Public Library. 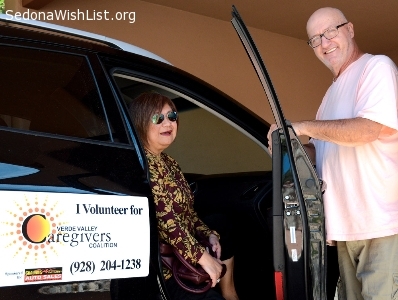 For a full list of volunteer opportunities visit our website http://www.vvcaregivers.org/ or call (928) 204-1238 or email lindaclark@vvcaregivers.org. Make a difference in your life and the lives of others. Volunteer to help older adults who need transportation to medical appointments, the grocery store and other important errands. There's no set schedule. You decide when and how often you'd like to volunteer. Even one or two hours a week can make a big difference. Volunteers are also needed to make friendly visits, provide respite assistance, handy person help, install Guardian Angel emergency alert units. To learn more you are invited to attend an information session on June 21 or July 11, 11 a.m. to 12 noon at VVCC Offices, 299 Van Deren, Suite 2, in Uptown Sedona. Refreshments will be served. For a full list of volunteer opportunities visit our website http://www.vvcaregivers.org/ or call (928) 204-1238 or email lindaclark@vvcaregivers.org. Verde Valley Caregivers needs volunteers to assist customers in its Silver Linings Thrift Shop located in Uptown Sedona. The Thrift Shop, popular with locals and visitors, features boutique ladies clothing and men's, as well as housewares, home decor, books and more. Volunteers are especially needed Monday through Friday. Shop hours are: 10 a.m. to 4 p.m. You decide if you want a full shift, or half. Thrift Shop proceeds benefit older adults in need. For more information contact Linda Clark at (928) 204-1238 or email lindaclark@vvcaregivers.org. Learn how to volunteer to help older adults live independently in their homes for as long as possible. VVCC is holding an information session on Wednesday, Feb. 1, 12 to 2 p.m. in the meeting room at Cottonwood Public Library, 100 S. 6th Street. For more information and to RSVP call Kim Meller at (928) 204-1238. Please visit VVCC's website for complete listing of volunteer services. You decide when and how often you can volunteer. VVCC also needs volunteers to help older adults with respite care and provide transportation to medical appointments, the grocery store and run other important errands. For a full list of volunteer opportunities visit our website http://www.vvcaregivers.org/ or contact Kim Meller, operations and mobility manager at (928) 204-1238 or email kimmeller@vvcaregivers.org. Verde Valley Caregivers Coalition is in need of volunteers to drive older adults to the grocery store and to medical and other appointments. Volunteers are also needed to provide pet assistance, handy person help, and friendly visiting. A few volunteers are needed for VVCC's Silver Linings Thrift Shop located in Uptown Sedona on Friday's. One client, 87, recently said “I am so grateful for your volunteers”. To volunteer, call Operations and Mobility Manager Kim Meller at (928) 204-1238 or email kimmeller@vvcaregivers.org. VVCC needs drivers to transport older adults to medial appointments, the grocery store, and other important errands. Volunteers are also needed to provide pet assistance, handy person help, and friendly visiting. 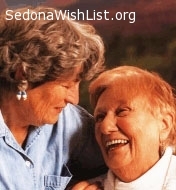 A volunteer and/or team of two are needed for Fridays in VVCC's Silver Linings Thrift Shop located in Uptown Sedona. Verde Valley Caregivers Coalition is in need of volunteers to drive older adults to the grocery store and to medical and other appointments. Volunteers also needed to answer phones in the One-Call Center. VVCC works around your schedule. Our clients are so appreciative of the services our volunteers provide. 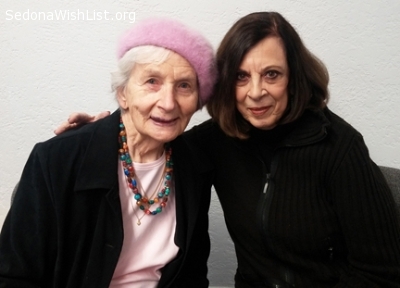 One 94-year-old client recently wrote: "I am lost without my car. I truly do not know what I would do without your help." To volunteer please call Operations & Mobility Manager Kim Meller at (928) 204-1238. Verde Valley Caregivers is looking for table sponsors for its Fourth Annual Art. Wine. Dine. on the Rocks Masquerade-themed fundraiser, 5 to 9 p.m. on Oct. 22, at the Hilton Sedona Resort at Bell Rock. Sponsorships start at $1,500 for 10 guests. The evening includes a wine reception, dinner, entertainment (Classical singers from NAU), and live and silent auctions. Guests are encouraged to wear Venetian costumes and masks. Complimentary masks will be provided. Individual tickets are available for $100 per person. For more information go to: www.vvcaregivers.org/art-wine-dine-1.html. 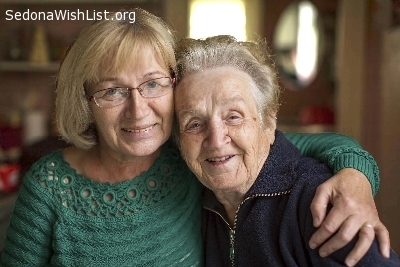 Proceeds to help older adults live independently in their homes. For event sponsorships call Linda at (928) 204-1238. 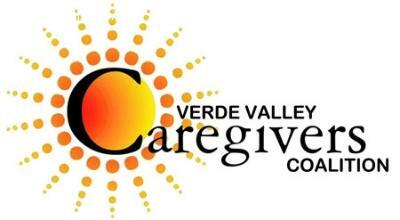 Verde Valley Caregivers is in need of volunteers to answer phones in its One-Call Center. If you have one afternoon or morning per week to spare, and want to help older adults live independently in their homes, please call Natalia Molina at (928) 204-1238. 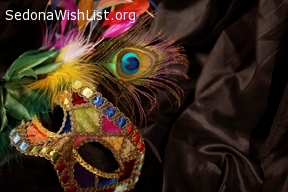 Thanks to the Wish List for helping us find a prospective volunteer for our Silver Linings Thrift Shop. We still need one more volunteer to help on Saturdays and one to help on Tuesdays. The Thrift Shop features a Women's Clothing Boutique, which receives donations of purses and jewelry from local shops such as Kealyn's Kloset. Volunteers also meet visitors from around the world. VVCC's Silver Linings Thrift Shop, located at 345 Jordan Rd., in Uptown Sedona, is in need of volunteers for the following shifts: Tuesdays and Saturdays 11 to 4 p.m. For more information please contact Linda Clark at (928) 204-1238 or lindaclark@vvcaregivers.org. 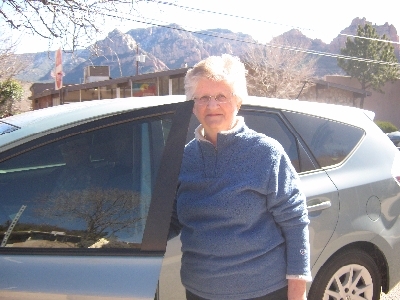 Proceeds of the Thrift Shop benefit older adults in need throughout the Verde Valley. Verde Valley Caregivers Coalition needs volunteers to transport older adult clients to the grocery store and to medical and other appointments. Volunteers are especially needed in Cottonwood and Camp Verde. VVCC's Silver Linings Thrift Shop also needs volunteers to work 11 to 4 p.m. on Tuesdays and Saturdays. For more information please call (928) 204-1238. Verde Valley Caregivers Coalition is in need of volunteers to drive older adults to the grocery store and to medical and other appointments. VVCC offers mileage reimbursement and works around your schedule. Please call Operations & Mobility Manager Natalia Molina at (928) 204-1238. VVCC provides supportive services, such as transportation, to help older adults live independently in their own homes for as long as possible. Verde Valley Caregivers is in need of the following items for office staff: a stand up drafting table and/or desk and a table top podium. Thanks to all those who donated firewood for one of our older adults in need. Thanks to you she is staying warm in her home. Thanks also to the donor who donated a desk for use in our One-Call Center. We wish our donors, volunteers, and everyone a joyous holiday season and fantastic 2014. Firewood needed for a wood-burning stove, which is the only heat source for one of our older adult clients who lives in Rimrock. Please call 204-1238. Verde Valley Caregivers is in need of volunteers to help maintain, clean, and inspect Guardian Angel medical alert units it loans to older adults. Volunteers can work on the units in their homes. 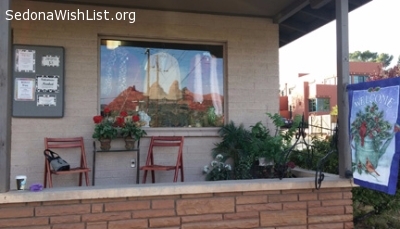 If you are interested please call Carol Basini at (928) 204-1238. Volunteers are also needed to answer phones in VVCC's One-Call Center. If you have one afternoon or morning per week to spare, and want to help older adults live independently in their homes, please call Natalia Molina at (928) 204-1238.